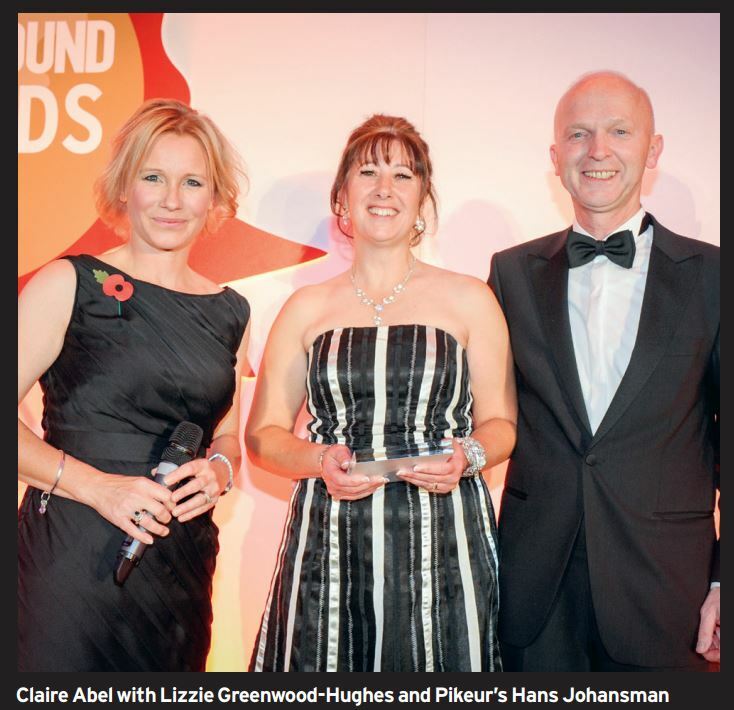 Home » News » HORSE & HOUND AWARDS: Nominate NOW!!! HORSE & HOUND AWARDS: Nominate NOW!!! It’s that time again – nominations for the 2018 H&H Awards are open, and this year’s are set to be even bigger and better than before. Following the success of the 2016 and 2017 awards, H&H is set to honour the equestrian heroes of 2018 at a star-studded ceremony at Cheltenham racecourse in November. As in previous years, the winners will be nominated and voted for by Horse & Hound readers. All are welcome to nominate any person, horse or group they believe deserves this prestigious recognition. Nominations are now open until 11.59pm this Sunday, 23 September, the last day of the World Equestrian Games. An H&H judging panel will then decide, for each of the 11 categories, a shortlist influenced by numbers of nominations, and the strength of each person, horse or group’s dedication and achievement. The shortlisted candidates’ stories will be shared in H&H on 11 October, when voting will open. 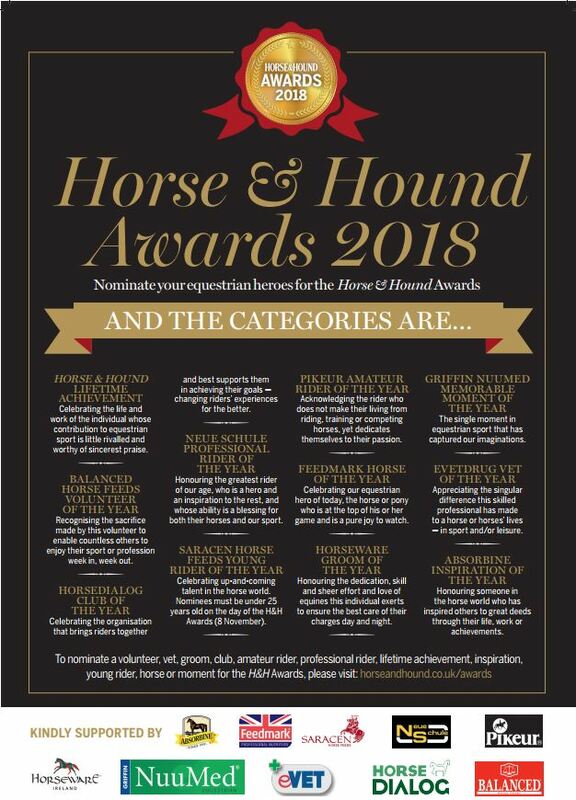 Readers can vote for the winners of each award with the exception of the Horse & Hound lifetime achievement award, which will be chosen by the H&H panel. The winners will be announced at the ceremony at Cheltenham, to which all finalists will be invited with a guest. 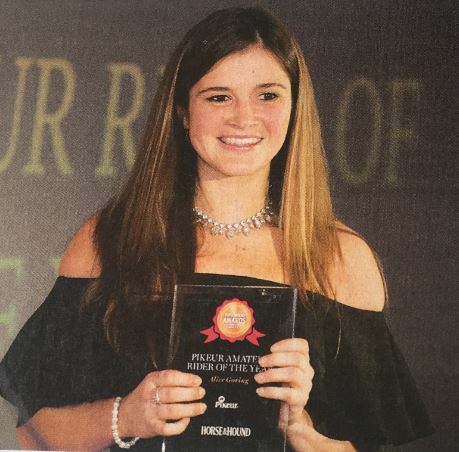 Pikeur is delighted to have sponsored the Amateur Rider of the Year since the inception of Horse & Hound's Awards. Monty, Shaws Equestrian's MD explains: "it is vital that all of us lucky enough to be involved with this wonderful industry keep putting back, creating a virtuous circle that benefits everyone and keeps the equestrian world going from strength to strength." The very first winner, Claire 'Tig' Abel, juggles her accountancy business with competing in dressage at an international level. Last year's winner, Alice Goring, manages to event at 2* level whilst keeping up her day job - undertaking research into osteoporosis. "My horses are used to being ridden in the dark all year round" revealed Alice, "Floodlights are my best friend!"